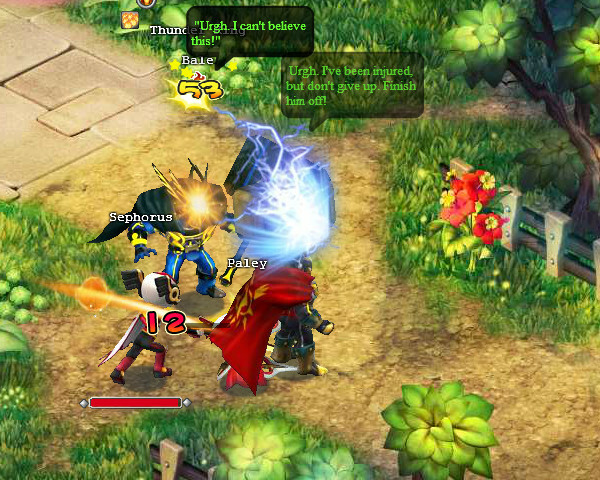 Starlight Story is a browser-based MMORPG from Aeria Games. Adventure in a world where magic and technology are at odds. Collect and fight alongside dozens of pets, customize your character, and adventure in a world with dungeons, world bosses, and team arenas. Devoted Companions: Don't adventure alone! A huge variety of loyal pets will fight by your side from the moment you begin your journey. Powerful Transformations: Sometimes you just want to shed your skin and become something new. Take dozens of new forms using the Transformation ability. Frenzied PvP: Enter competitive one-on-one duels in the Arena, or kick it up a notch in an intense three-on-three Arena match! A Vibrant World: Immerse yourself as Starlight Story's gorgeous world comes to life! Enjoy vivid colors, amusing animations, and fantastical environments.